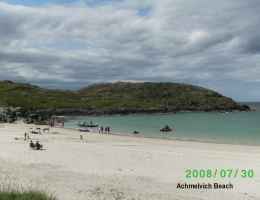 During July and August of 2009 we decided to have a look at the West Coast of Scotland and find some of these "Caribbean" style beaches we had heard of. Our basic itenary was up to Loch Lomond, then to Ullapool and working our way up the coast to Cape Wrath, then down through the centre to Larg and back across to the West Coast, over to Skye by the bridge and back across by the tiny ferry to Glen Elg then work our way down the coast to Fort William, Oban, Isles of Bute and finally back down South. The very pretty little town of Luss on Loch Lomond a short walk from the campsite. 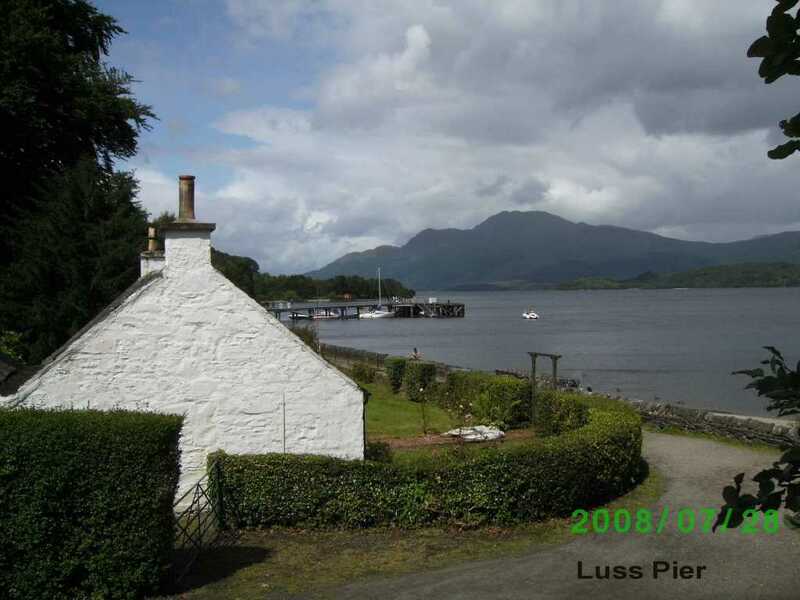 The pretty little village of Luss. 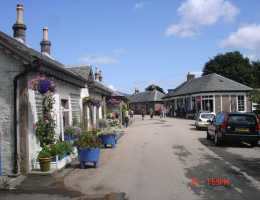 The shop on the right sells fantastic homemade shortbread. 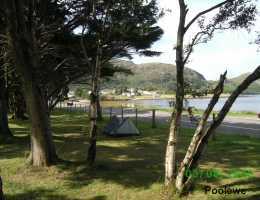 The campsite is just on the left of the picture, I must admit it was a nice place to relax after a long drive from the South Coast. 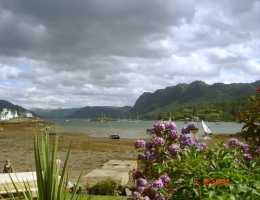 There was a good pub/hotel on the shore that was very popular. Ardmair Point just round the corner from the campsite north of Ullapool. 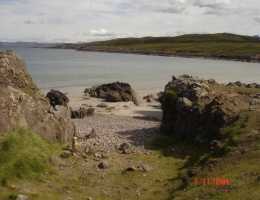 Achnaird beach, a great place to take some time out, remote and peaceful. Achnahaird beach, a huge great expanse of sand and crystal clear water. 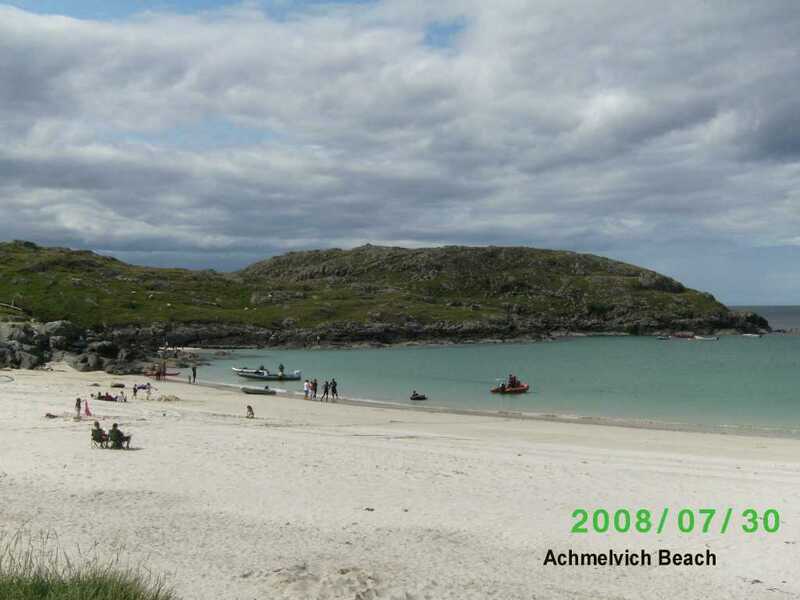 Achmelvich beach the best we had seen, just like the Caribbean but not quite so warm. 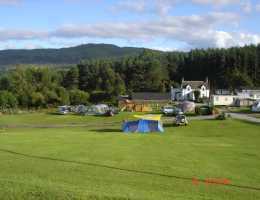 The adjacent hilly campsite was full up otherwise we would have stayed longer. 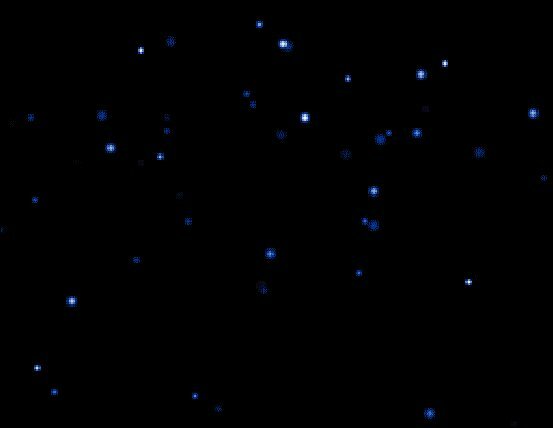 It's truly beautiful. 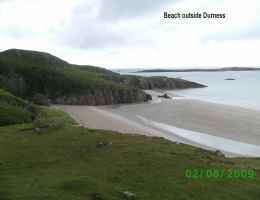 The beaches we found were very peaceful places where one could contemplate life away from the hustle and bustle of civilisation. 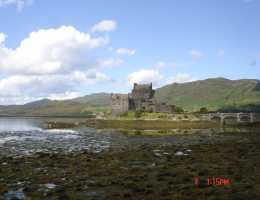 On the way to the Highlands. There were some beautiful small inlets that we came across. The secondary roads around this area are really beautiful to drive through albeit somewhat narrow at times. If the weather is right you will never forget the scenery but if the weather is bad you will never see the scenery never mind enjoy it. 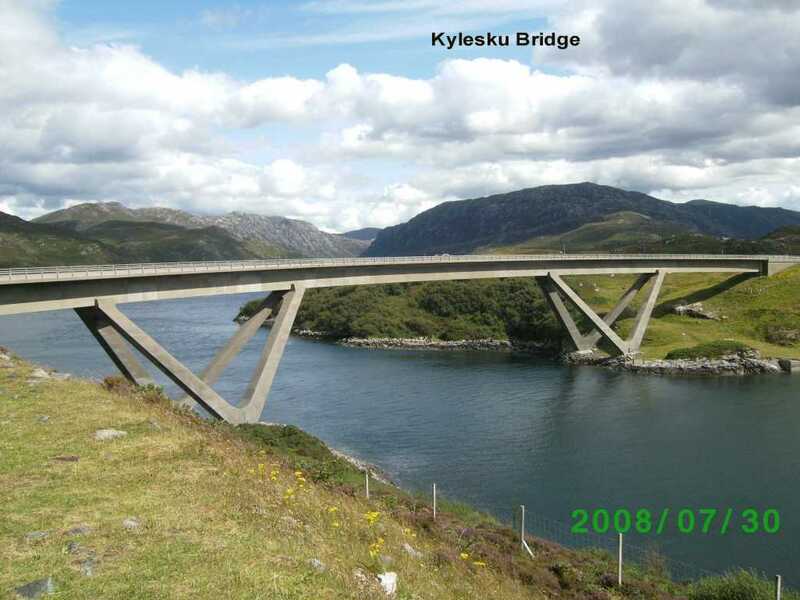 This bridge looks totally out of place in the highlands but it does save a lot of driving to get round Loch a Chairn Bhain. Kylesku has the smallest Post Office I have ever seen, a little shed outside a house in the village. 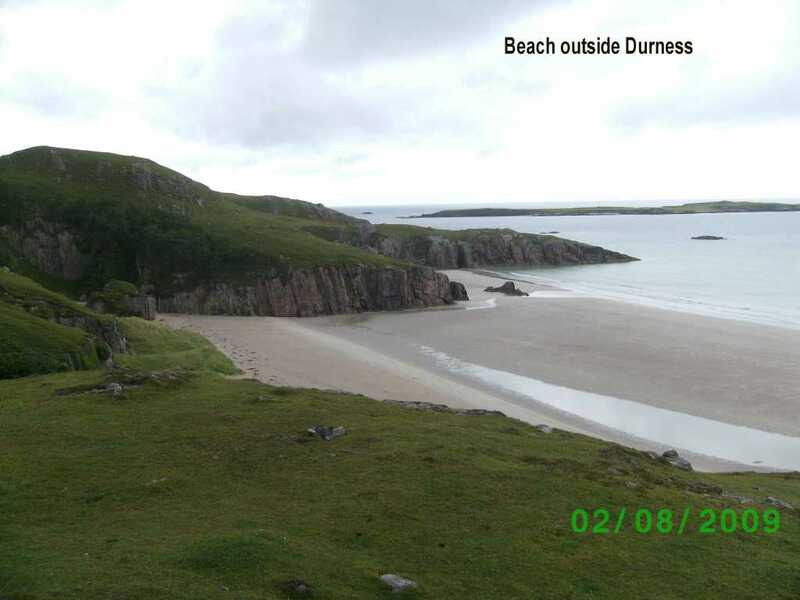 One of the most northerly beaches in Scotland just outside Durness. There were quite a few vehicles wild camping on the slopes to the right of the picture. Which way do we go dear? 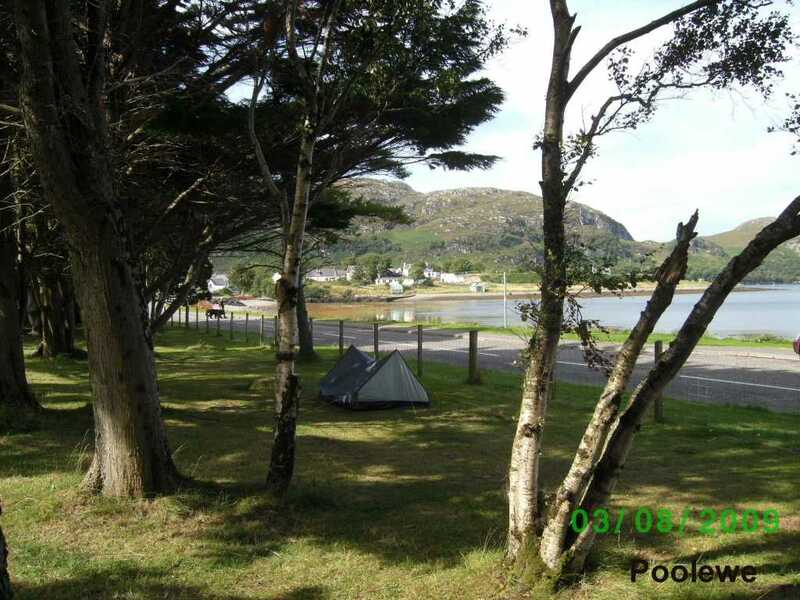 View of Loch Ewe from the campsite at Poolewe which had wonderful Power Showers. 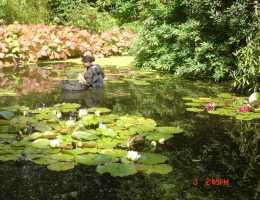 Tending the water lillies in Inverewe gardens. There is a hugely diverse selection of plants and flowers here from all over the world and it makes for a restful afternoon out. 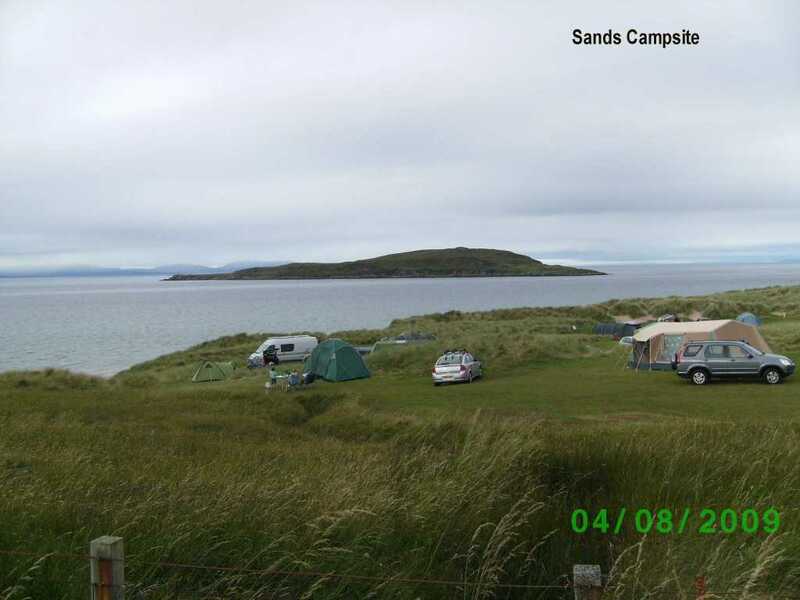 The campsite at Sands not far from Gairloch. There was a lovely beach there but it is hidden in this photo. 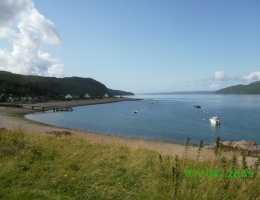 Gairloch has a superb butcher who also sells local seafood and boy were the scallops tasty and HUGE. We dined well that night in the camper. 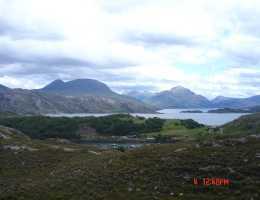 A view from the northern route to Applecross over Loch Torridon. This route was very twisty and narrow and definitely not recommended for large vehicles..
Applecross campsite is very nice with a restaurant that grows a lot of it's own food. 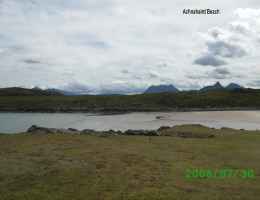 The views across to Skye are terrific. 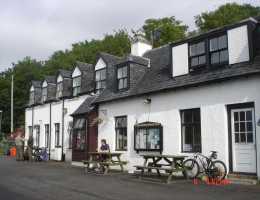 The most important part of Applecross, the pub. Next to it is a little fuel pump which is worth noting as the next fuel station is a long way off. 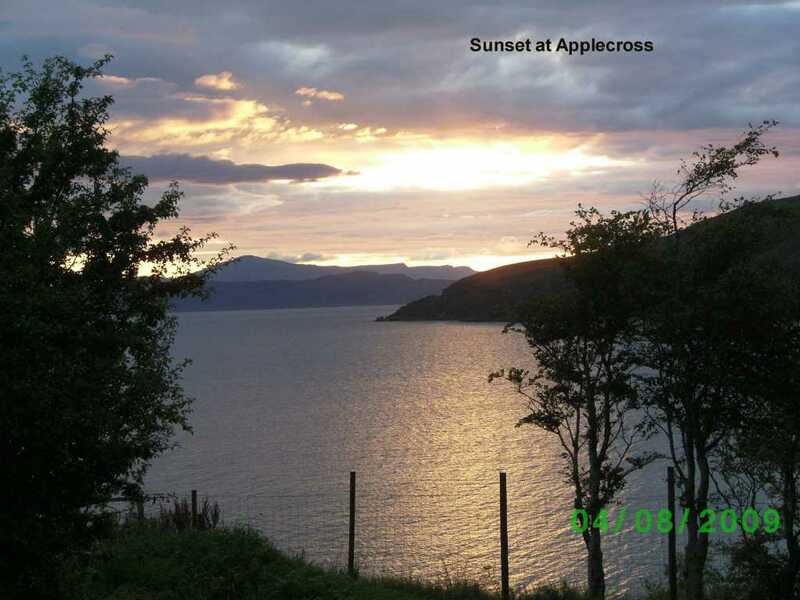 There is a very "interesting descent" from Applecross as you can see from the photo. 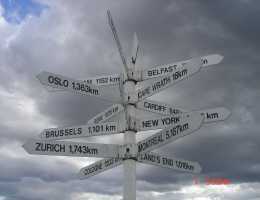 It shows there are hairpins in Scotland as well. 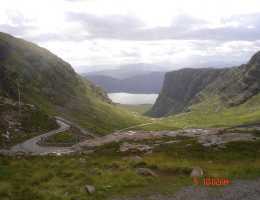 The way down from Applecross. 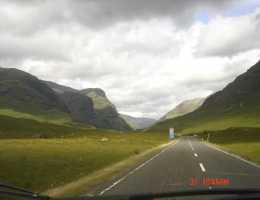 Who says Scotland doesn't have any hairpins? This is a really pretty village but parking can be a problem in high season. The views of this little old port are lovely. The Plocton Hotel has the best smoked seafood soup I have ever tasted. 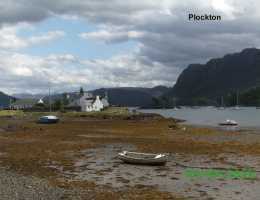 Another view of Plockton. 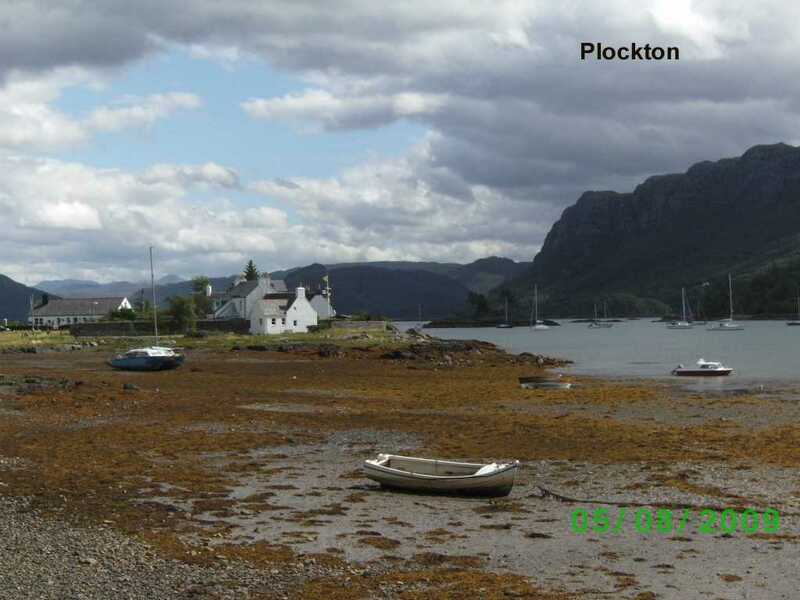 The Hamish Macbeth series, The Wicker Man and the Inspector Alleyn Mysteries were all filmed in and around this small village. 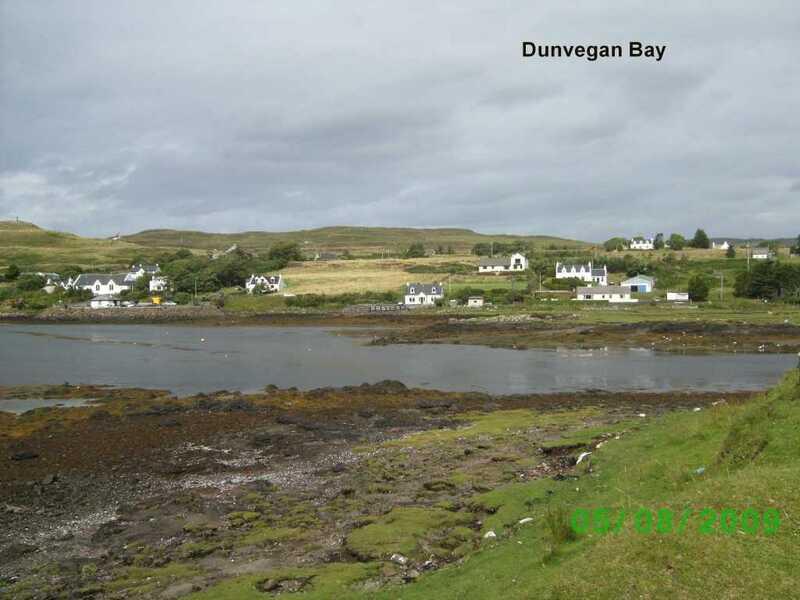 From here we went across to Skye eventually going to the campsite in Dunvegan at the end of the loch. Then the weather decided to change for the worse but thankfully it only lasted for a day. 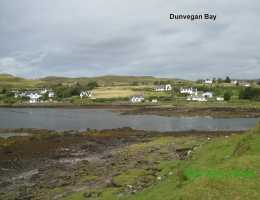 The end of the sea loch at Dunvegan. 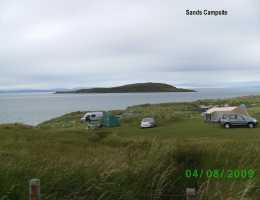 This is the view we had from our camper on the campsite. 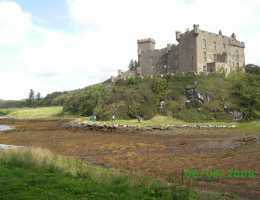 Dunvegan Castle definitely worth a visit. The little town has the usual tourist shops, an Information Centre and a mini supermarket. 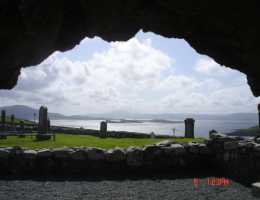 Taken from the ruins of an old church right at the top of Skye. 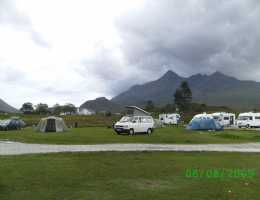 A popular campsite at Sligachan with a pub in the background. Everybody used to run to the pub to escape the midgies which were rather plentiful. 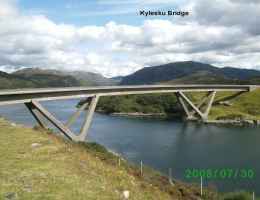 From here we travelled south to the little ferry at Kylerhea to get across to the mailand at Glen Elg. 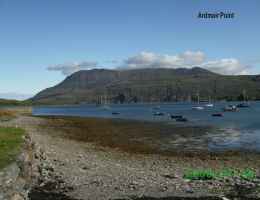 The drive was very beautiful going across the hills then down to the ferry jetty but somewhat narrow. 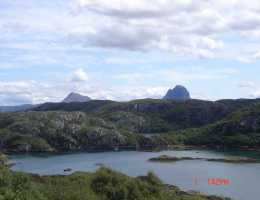 The bay at Glen Elg with Skye on the right. 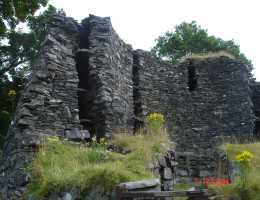 The old Round Houses dating back to the Iron Age. 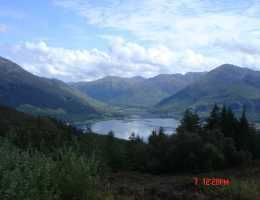 The view from the old military road to Invershie looking down on Loch Duich. 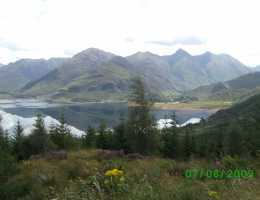 The 5 sisters of Kintail, quite a climb! We then headed down the west coast of the Mull of Kintyre to Machrihanish Bay, across to Cambletown which is a fairly large commercial port and has 3 distilleries remaining out of the original 28, when it had the title of "the Whisky Capital of the world". We worked our way back up the east coast, around Loch Fyne and down to Bute. 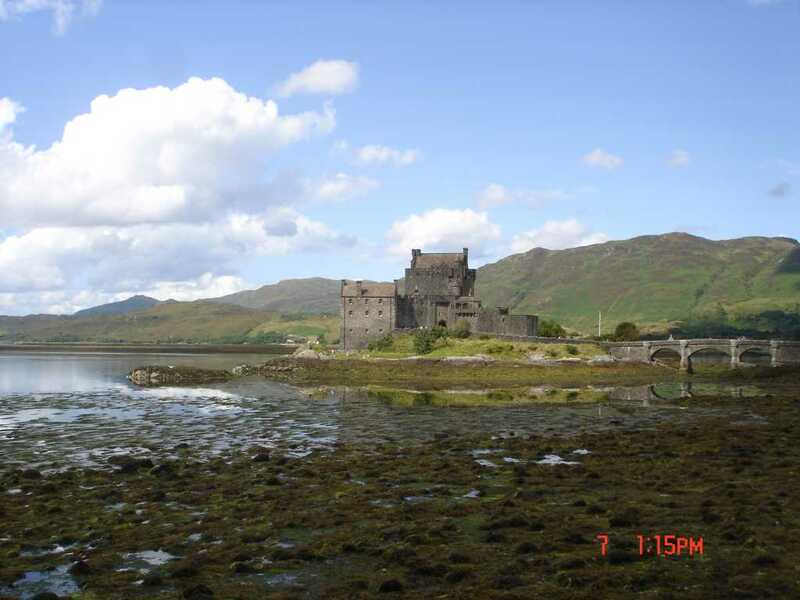 One of the most photographed places in Scotland, Eilean Donan Castle on Loch Duich. 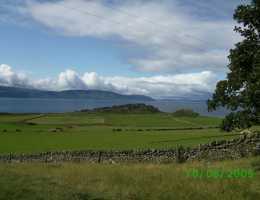 Finally the Island of Bute we liked it so much we forgot to take any decent photos. We left Bute and headed up towards Aberdeenshire to see my family..
Our last campsite at Killin just after the Falls of Dochart on our way through Perthshire. Well this was the end of a superb holiday and we were blessed with the weather as it hadn't rained much at all. 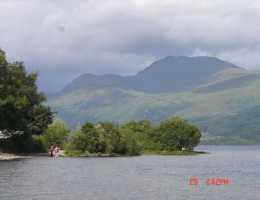 So back down south we headed with the thought in mind that we will be back to visit the bits we have missed.